The best team in Napa Valley. We specialize in curating the best experience you have had to date, over and over again. With our member concierge services we open new doors to boutique invitation only wineries, access to chefs that will customize adventurous menus, and exciting activities that are exclusive to your group. We are a team of Napa Valley locals that appreciate the finer things in life. Cultured Vine is built with wine experts, travel professionals and event designers that take pride in our craft and are excited to work one-on-one with you every time you travel to Wine Country. Angela Duerr is a tastemaker in Napa Valley whose vision to combine her passion and expertise of wine and luxury resulted in California’s only white glove wine concierge service, Cultured Vine. As Founder & Owner of Cultured Vine, Angela creates tailored, exclusive experiences for consumers and travelers in Northern California’s wine country. From tastings in a wine owner’s living room to private tours and dinners with top chefs at boutique, invitation only wineries, Angela makes it happen. Founded in 2014, Cultured Vine was born out of Angela’s extensive industry knowledge, outstanding relationships with winemakers and wineries, a thorough understanding of the luxury wine consumer, expertise in all aspects of the wine business and her pure enjoyment of finding the perfect wine experience based on the individual at hand. In 2007, Angela moved to Napa Valley and for more than a decade she has held roles for numerous luxury boutique wine brands and worked with esteemed winemakers. These roles put her at the intersection of working with both wineries and wine enthusiasts, garnering an understanding of the superior experiences wineries could offer and the consumer demand for exclusivity. Today, she is still a consultant for PROMISE Wine. Prior to her wine industry transition, Angela held senior management roles with GMAC and Bank of America where she managed sales in various parts of the US. The customer service skills, outstanding attention to detail, and superior work ethic developed in her banking years carried over to her sales, management and consulting roles for multiple wine brands. Even when Angela is not assisting companies and individuals to create the perfect wine experience, she is pursuing wine personally. She took courses at Napa Valley College in viticulture and enology which not only deepened her education of grapes and winemaking but led her to creating her own wine label, True North, a sparkling wine made methode' champenoise and inspired by the passion that drove Angela to do what she loves. As Cultured Vine’s Producer, Guy personally oversees all guests’ itineraries ensuring that their time in Napa is unforgettable. A hospitality expert with a passion for creating the best experiences imaginable, he secures elevated hotel and restaurant experiences for all Cultured Vine guests. Guy celebrates four decades in the hospitality business, most of them spent in restaurant management to provide diners with memorable wine country dining. He loves interacting with people and personalizing dining options. Guy has held management roles at notable Napa establishments including Mustards Grill, Coles Chop House, Archetype in St. Helena, Ca’Momi in Downtown Napa and Piatti Ristorante, where he ran the front of the house for 12 years. Going from creating the best dining experiences for guests at restaurants to making extraordinary trips throughout the entire wine country region was a natural and easy transition for Guy. Guy has been recognized as one of the 10 Most Influential People by Napa Valley Life Magazine and in 2016 was voted Best Restaurant General Manager for Napa and Sonoma Valleys by Canvas, the Concierge Alliance of Napa Valley. When he’s not securing the best experiences for others, he enjoys spending time traveling with his husband and two golden retrievers in their Airstream. A technically savvy entrepreneur with website and graphic design experience, Danelle Duerr is the Operations Manager for Cultured Vine. As the backbone of the team, she manages the company’s website, attends to details such as hotel bookings, and works closely with wine merchants. Danelle’s artistic skills were recognized at an early age, and today she brings that eye for detail and creative flair into everything she does for Cultured Vine. By leveraging her skills with graphics, technology, and photography, Danelle is able to create peak luxury hospitality experiences. Danelle has held roles with Vineyard 29 and Duckhorn Vineyards. An avid professional photographer, Danelle’s past clients include Harris Estate Vineyards, Fantesca Estate & Winery, Adamus, St. Helena Winery and Promise Wine. When she’s not working, Danelle enjoys attending rock concerts. Although she doesn’t really want you to know this, her favorite chill-out is bingeing on Netflix. As the Director of Concierge Services at Cultured Vine, Christopher Scott attends to the details of your event schedule to ensure you enjoy an unparalleled experience in the perfect location. Christopher thrives on the relationships he has built with guests and winery owners. Helping people discover Napa and Sonoma in a unique way and connecting people with a passion for the wine life…it doesn’t get better than that. Christopher’s career includes roles at General Mills and Johnson & Johnson, honing his skills with organization, attention to detail, and listening—skills he puts to good use at Cultured Vine. As a tour driver and chief concierge for Beau Wine Tours, Christopher developed personal relationships with many area vintners and learned the valley’s insider secrets. Christopher also owned and operated a music management company for 12 years. With the exception of a three-year stint in the Army, Christopher has lived in and around the Napa Valley his entire life. When he’s not at Cultured Vine, you can find Christopher playing with his grandchildren and traveling to wineries throughout Napa and Sonoma. It’s in his blood, after all. The Founder of David Aten Events, David has been working alongside Angela for the past 10 years. His professional event planning is a natural extension from his vast accomplishments within the food and wine industry. David Aten is an authority on hospitality and event management in Napa Valley with over 25 years of experience. If it’s an event with the “whose who” or bespoke wineries; David is a master. Founder and Executive Producer of Roque Events, Raquel has cornered the market on luxury weddings and events here in the Bay Area. 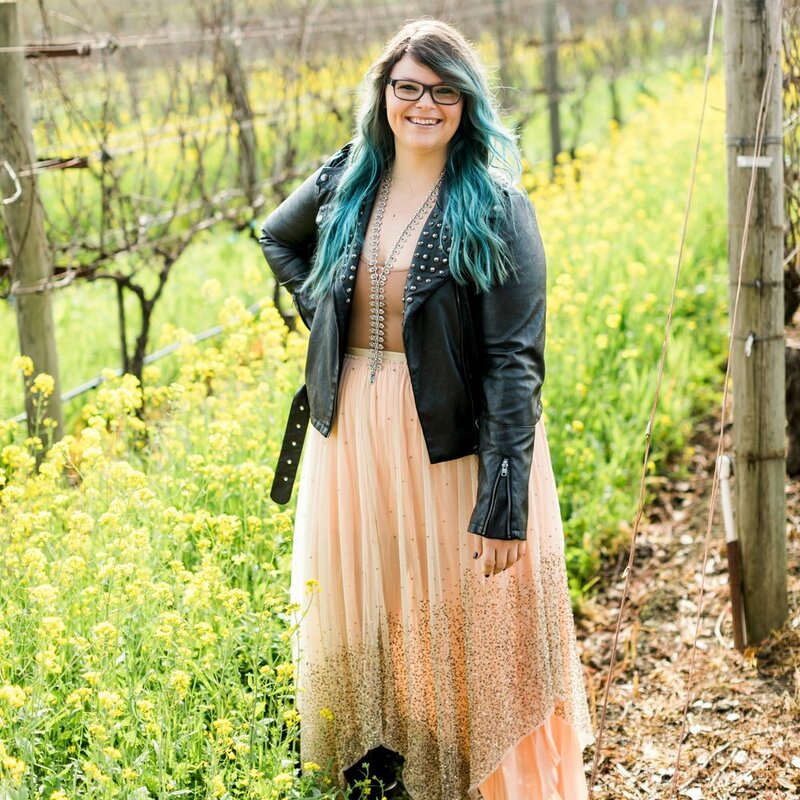 With her roots in Napa, Raquel has had the opportunity to work with many esteemed restaurants, wineries, and hotels that attribute to her success in the event industry. Roque Events has been featured in Brides, The Knot, and several others with awards from Special Events Magazine named as '25 Young Special Events Pro's to Watch'. Sean has a Master of Science degree in Geographic and Cartographic Sciences and is therefore fascinated by the concept of terroir. He started his marketing career with geo-targeting and geo-demographics when those fields were in their infancy. He helped a wide variety of clients apply those concepts while at an analytics company that was later acquired by Nielsen. He became the Director of Data Strategy at Butler, Shine & Stern advertising agency in Sausalito. Sean then dove fully into Direct-to-Consumer wine marketing in 2004.